A surprise, this one, with most Humagne Rouge from its home canton, Valais. 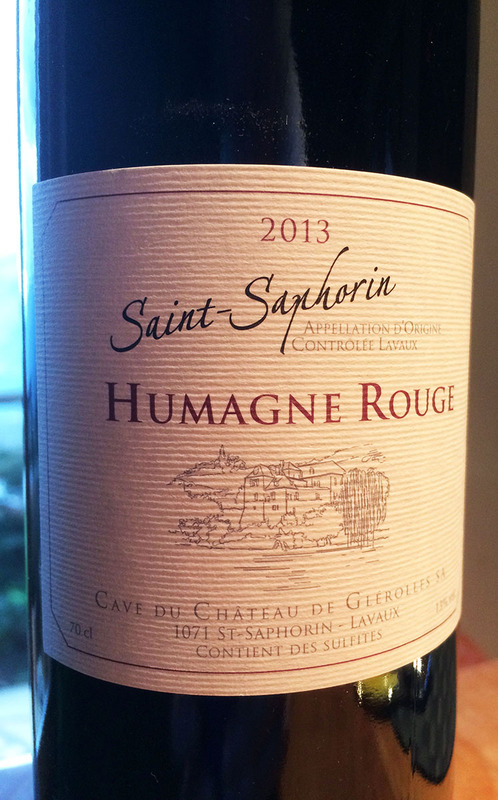 St Saphorin, which sits on the shores of Lake Geneva, has a fine Humagne Rouge, from the Cave du Château de Glérolles, a fine old castle that juts out into the lake. We drank the 2013 with a fun and comforting Saturday evening supper of orange lentils and cream with a delicious boerwurs sausage from Jim’s British Market in Gland. I happened to bump into the young butcher who makes these as well as excellent bacon in St Légier, above Vevey. The winery says the wine should be drunk in 2-8 years, that it ages well, helped by 10 months in new oak barrels, and I think I would like this wine in another 5-6 years, when it will be a bit deeper. 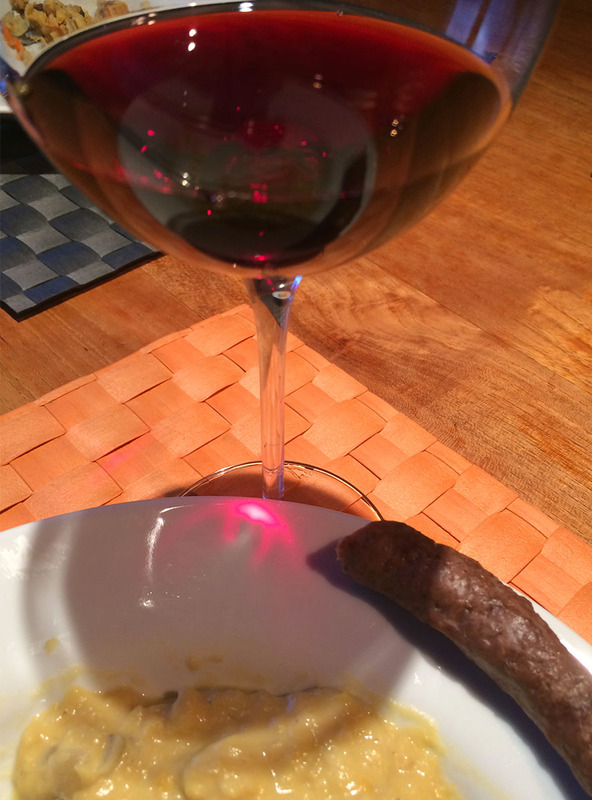 The quality of the sausage, which would be even better on a barbecue called for a good but rustic wine, and the Humagne Rouge was a perfect match, if more expensive than the ones you find in the supermarket – CHF30 versus 12-15 for less interesting wines from this grape. But at 4C in the mountains in the evening the chef said no, thanks and put it in the oven for 20 minutes, while I put the wine on the window ledge for that long to cool down just a bit, and everything turned out just right. Mouth: Spicy, smooth with good mouth-feel: good tannins that are less rustic than is often the case with this grape. Very good structure: a pleasing wine throughout the meal. Never overwhelmed, but held its own with a strongly flavoured sausage.